Happy New Year everyone and welcome back. Please join us next Tuesday, January 14th at 6:30 in the library for our monthly general meeting. We will be reviewing and voting on some of the spending committee’s recommendations and we would love to have as many people help us in making those decisions as possible. We will also be discussing the upcoming board turnover. We are missing quite a few key positions for the 2014-2015 term and we could really use your help. The Proctor Terrace Golf Tournament is coming on April 11th! The Proctor Golf Tournament is BACK! Bennett Valley Golf course is hosting a fun-filled tourney with hosted holes, a dozen contests, and HUGE PRIZES! If you are interested in playing, volunteering, or partnering with us to raise money for Proctor Terrace, please email Troy Cox at troym84@yahoo.com, and Charlie Woods at 707equity@gmail.com. This will be an amazing time!! Also if you would like to sponsor a hole or know someone who would please contact Charlie Woods at 707equity@gmail.com or at 707-494-9955. Parents are welcome to come to Legend’s at 7:30pm for hors d’oeuvres, beverages, maybe a live auction and dancing. Join the golfers into the evening to party and raise money for our school. A Tennis Tournament is brewing that afternoon during our festivities. If you are a tennis player, or are interested in helping with a tournament, please contact Charlie Woods at 707equity@gmail.com or 707-494-9955. 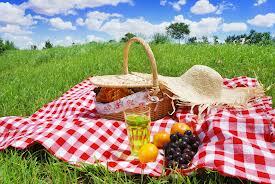 Our Family Picnic will be March 29th from 1pm-5pm. It will be at Galvin Park and will feature music, games and silent auction prizes. Jeff Tyler will also be there with his food truck. There is no admission fee and everyone is welcome! Also we need volunteers to help plan and setup games and auction. Please contact Charlie Woods at 707-494-9955 or 707equity@gmail.com. Please save the day to enjoy with the Proctor Family.